Dry and over drained peat swamp forests are prone to fire. Recognising that some areas of peat swamp forest in Pekan Forest Reserve have been degraded, GEC entered a partnership with IOI Group and collaborates with Forestry Department and Jabatan Kemajuan Orang Asli (JAKOA) to rehabilitate the forest and reduce risks of forest fire. This project focuses on engaging local Orang Asli community to get involved in the rehabilitation process and empower them on best management practices for peat swamp forest. This project also hopes to develop a potential alternative source of livelihood for them through various activities and programmes. Increase water level at degraded peat swamp areas through installation of canal block. 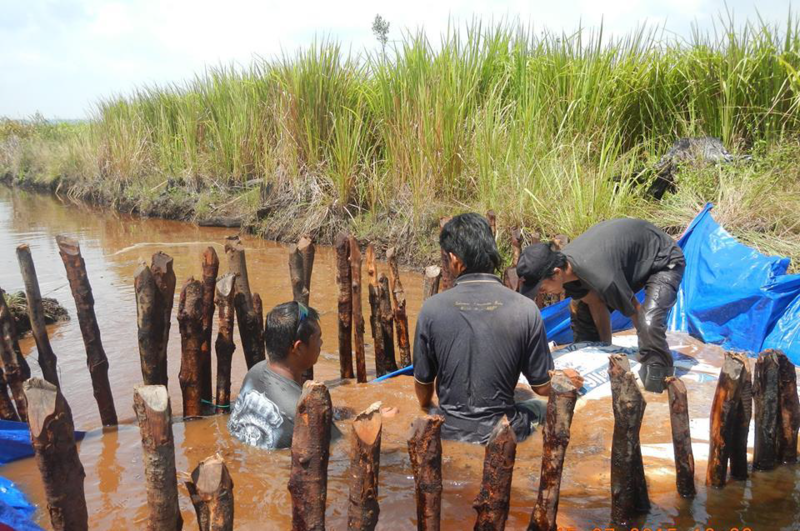 Replanting trees at degraded peat swamp areas. Establish a Peat Community with Orang Asli involvement to tackle peatland management issues. Conduct programmes/activities that help provide alternative livelihood for the Orang Asli.